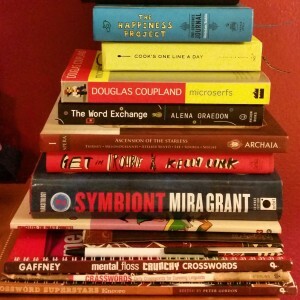 There are always so many books on my bedside table. Crossword puzzle books, journals, comics / graphic novels, novels, and even a re-read right now (Microserfs). I actually cleaned up the stack some to take this photo - pulling out the comics and library books I'd already finished.